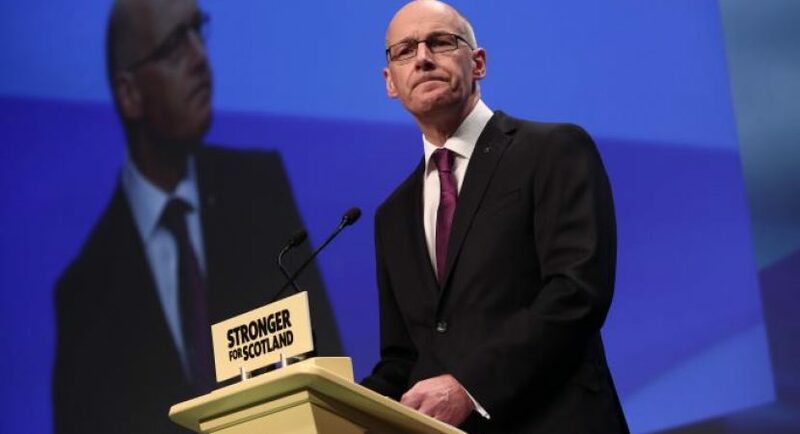 John Swinney is facing renewed calls to overhaul Scotland’s major education agencies over claims that the quangos have failed a generation of children. The Scottish Conservatives ramped up pressure on the education secretary yesterday, demanding that he address what they believe are leadership issues at Education Scotland and the Scottish Qualifications Authority (SQA) after international league tables pointed to a damning decline in performance. The Programme for International Student Assessment (Pisa) figures, which were published on Tuesday, showed that Scottish 15-year-olds recorded their lowest results yet in all three areas tested — science, reading and maths — since the survey began in 2000. In the past, Scotland regularly achieved above-average ratings in the categories compared with other developed countries, but in the latest figures it was average across the board. Mr Swinney said that the results were “unacceptable” and indicated that they had increased his determination to drive through a package of “radical” school reforms, including the introduction of standardised testing and the handing over of greater power to head teachers. Liz Smith, the Tory education spokeswoman, said the findings added weight to her claim that Education Scotland and the SQA were no longer suited to their roles. Both agencies, and the SQA in particular, have been heavily criticised by teachers in surveys by Holyrood’s education committee, and have faced difficult hearings before MSPs in recent weeks. The Conservatives also pointed to figures suggesting that more per head is spent on education in Scotland than in England, despite the Pisa study showing that attainment north of the border is falling behind its nearest neighbour. Countries including Estonia and Finland easily outperformed Scotland. She added: “Money has gone in, but results have fallen. It is a total failure of leadership from ministers, educational leaders and government agencies. Experts have claimed that Education Scotland has a fundamental conflict of interest as its job is to shape the school curriculum and monitor the delivery of it through inspection regimes. The organisation has rejected the claim, and was backed up by Mr Swinney. The education secretary said that a governance review of Scottish education was in progress, but added: “Education Scotland doesn’t run education, education is run by the local authorities in Scotland.